Most famous reencode pirates from PTK hopefully had their own source on this one and didn't steal it from elsewhere. Didn't listen to it, so can't say anything 'bout the sound of the rip. The cover from PTK, which is titled -Proof- however is the worst Proof in the world, it's the exact same picture that I found with google in not even 30 seconds. Releaseday only 4 days ahead, so if there are any flaws in the PTK release, I think a Proper will follow soon. "Norma Jean is a Christian metalcore/mathcore band from Douglasville, Georgia, USA, a suburb of Atlanta." 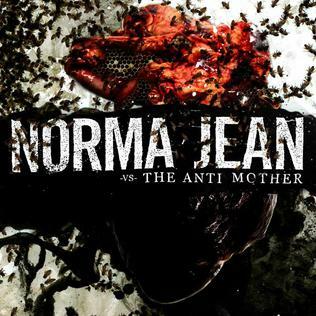 /edit: Norma Jean-The_Anti_Mother-2008-FNT is out now.